After posting a photo of herself on her Tumblr page, sporting eye black where “Feb. 3” is written on one and “2013” on the other, the NFL confirmed the news of Beyoncé’s performance during the halftime show for Super Bowl XLVII. 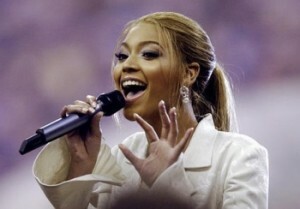 Beyoncé sang the national anthem at the 2004 Super Bowl in her hometown of Houston but this halftime show performance could include feature collaborations, that could likely include husband-rapper Jay-Z and her Destiny’s Child band mates Kelly Rowland and Michelle Williams. 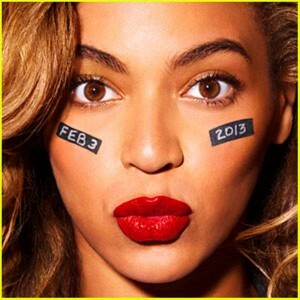 Pepsi is returning as the sponsor for the Super Bowl halftime show which is set for February 3, 2013 at the Mercedes-Benz Superdome in New Orleans.